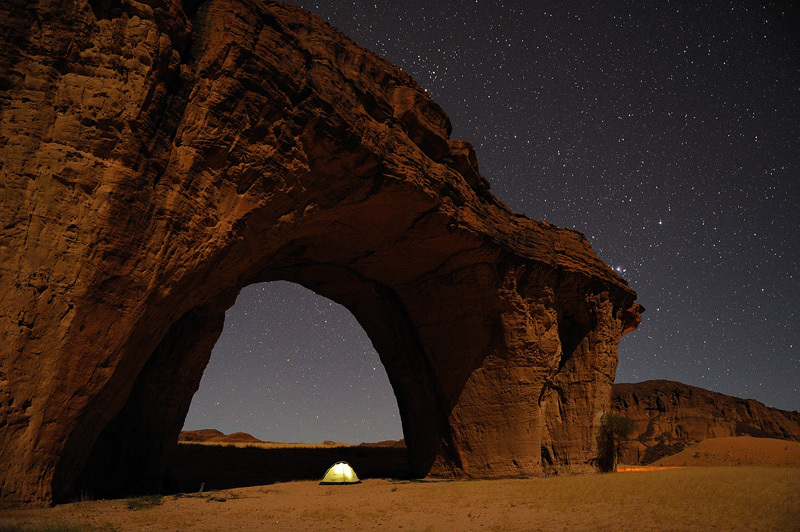 This shot was taken on the Ennedi plateau in Western Chad, Africa. We found this huge natural rock arch and decided it would be a great spot to spend the night. I waited until the sun had set and the moon was up to take this photograph; the whole scene is lit by the moon. I put a small flashlight in the tent to illuminate it from the inside. The orange glow you see on the ground to the right of the arch is caused by our campfire.